Zumba Fitness World Party As Low As $19.99 + FREE Prime Shipping (Reg. $30+)! You are here: Home / Great Deals / Amazon Deals / Zumba Fitness World Party As Low As $19.99 + FREE Prime Shipping (Reg. $30+)! Here’s another great deal to help you with your New Years weight loss resolution (or just to stay fit)! 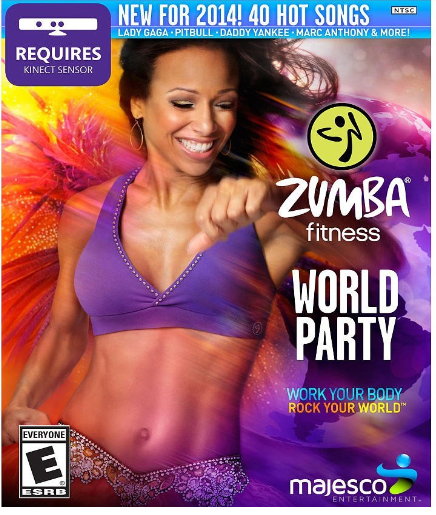 You can grab a copy of Zumba Fitness World Party for As Low As $19.99 (Reg. $30+)! Plus, FREE 2-Day Shipping is available with Amazon Prime or FREE with orders of $35 or more (sign up for a FREE 1 month trial here)!